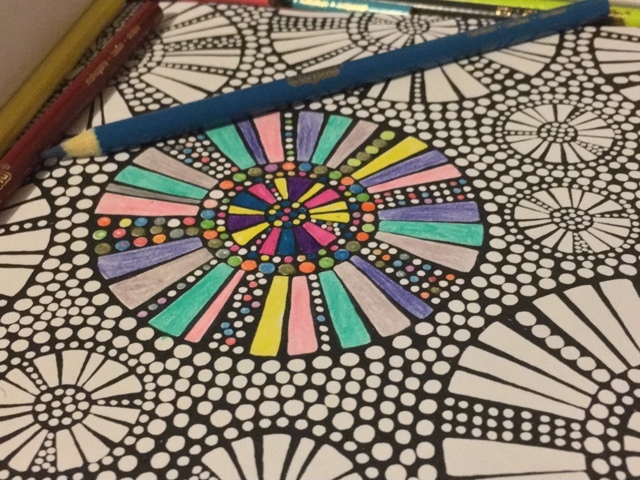 I have been having having some much needed me time this weekend with this cool Crayola Colouring Book, It was nice to spend sometime relaxing and chilling out and focusing on something completely different, If you you like to know more check out my thoughts on Crayola Adult Colouring. I'm fascinated by the way this new adult colouring craze has emerged. Not my thing personally but I completely get how it can be therapeutic and relaxing. My wife certainly enjoys them a lot - anything that eases kid-related stress is a winner in my book! Isn't it amazing how relaxing colouring in can be. It takes your mind off everything but I just can't sit still long enough to do a whole one! I 'help' my daughter and it really is relaxing...for the few minutes I have between ! That does look fun! I'm not sure I have either the time or patience for adult colouring books, but I'm tempted to try. I am a little bit lazy with my colouring, I use an app on my phone! I love the softness of the colours you are using on yours. I have to agree it's very relaxing and I can totally see why people lose hours in them! I haven't tried 'adult' colouring yet, I think I might find it more frustrating than relaxing, to many small bits to colour in! I think those dots would drive me bonkers but I do love a bit of colouring-in for grown-ups :) Great stress-reliever. My husband takes the mickey out of me something terrible for colouring but I love it - I find it so relaxing! ooh yes i love colouring in but i prefer to colour in my own doodles:) it takes you right back to childhood. such fun.